This delicate solid sterling silver necklace makes a beautiful gift for your other half or a special friend or relative. 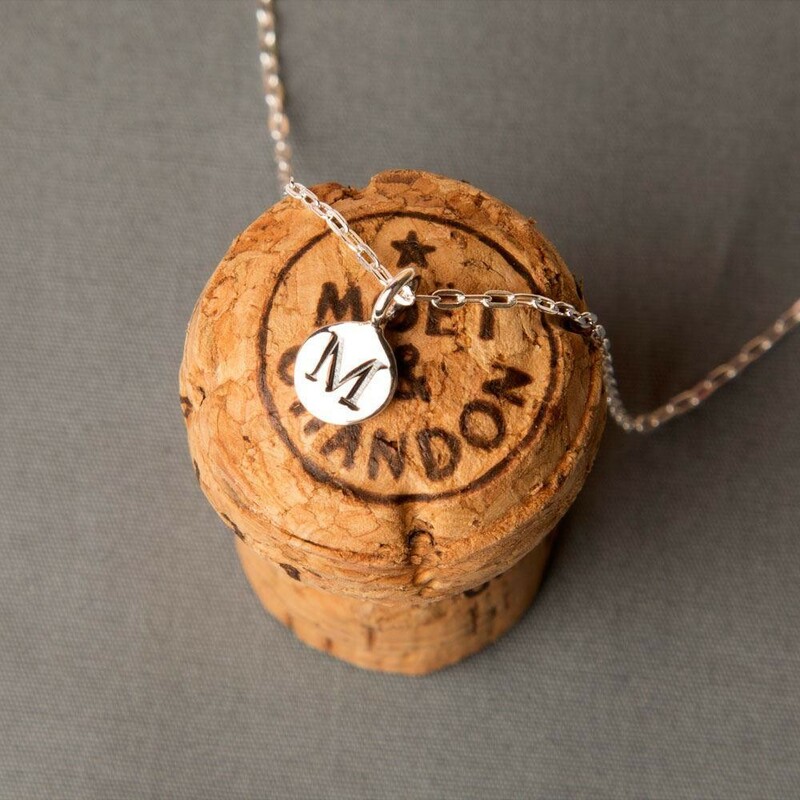 It is a dainty way to wear yours or your favourite person's initial with you all day. The trace chain style necklace makes it a simple design that is easy to wear and goes with every outfit. It also works well layered out with other necklaces. It is particularly popular for bridesmaids, mums and sisters. 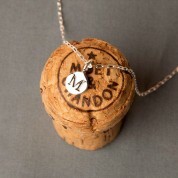 We personalise this necklace with 1 disc initial charm and we offer all the letters from A-Z. 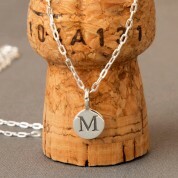 It is a sterling silver stamped initial charm with soldered loop. It closes with a sterling silver trigger clasp. 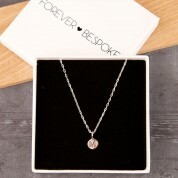 We also provide a branded gift box for the necklace to be presented in and then kept in when not in use. Dimensions of chain: approx 45cm, dimensions of sterling silver disc: approx 8mm in diameter, loop 2.5cm.